Who is the Best Actor of British Tv Series 2019? There are a lot of popular Tv Series in UK Televisions. Some of you liked these series because of outstanding performance of actor in a leading role. We choose the best Actors of British Tv Series 2019 according to your votes. This list is composed of the best actors from British Tv Series 2019. Choose your favourite one and vote! 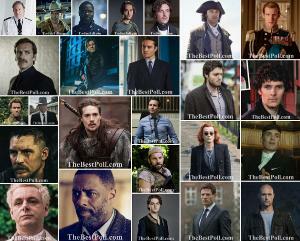 I vote for AIDAN TURNER. Alex is just amazing in the role of Uhtred in the TV adaptation of Bernard Cornwells Saxon books. A very difficult role with so many emotions. In “Good omens” David Tennant, not Benedict Cumberbatch.